Pro Quality Office Cleaning is a commercial cleaning company you can trust. We can honestly say that we are one of the most qualified companies to perform cleaning services. We provide our clients with a wide variety of different commercial cleaning services at an affordable price. Pro Quality Office Cleaning service is your complete solution for business cleaning services throughout the Seattle area. Whatever commercial cleaning requirements you may have, we will tailor our services to meet all your commercial cleaning needs. Our cleaning crews are insured, bonded and second to none. Pro Quality Office Cleaning service team are the best professionals in the industrial cleaning business. Whether it’s a small job, or a larger task, you’ll undoubtedly be satisfied with each and every cleaning service provided by our cleaning company. We clean even the hardest to reach (or clean) areas. If your business is in search of carpet cleaning then look no further than Pro Quality Office Cleaning service. Your floor shouldn’t let your business down. Take advantage of our commercial carpet cleaning services to ensure your floor looks its best every time. From the time we enter to the time we leave your facility, we keep it secure. Whether you need just a one-time cleaning or daily, weekly, monthly cleaning services, let us create a customized cleaning plan to suit your individual needs and work within your budget. 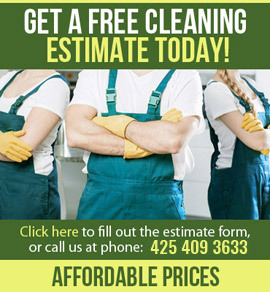 As one of the best industrial cleaning and business cleaning companies in the Seattle area, we are committed to providing a cost-competitive cleaning service. We take pride in everything we do, because we do it professionally. We uphold our reputation for innovative ideas, cost saving for customers, honesty and outstanding services provided to all clients. Pro Quality Office Cleaning is the cleaning business that helps you portray the professional look of your business. Be certain your office or building reflects your professional image with Pro Quality Office Cleaning. We customize our business cleaning services to meet your specifications and budget. Book our janitorial services and enjoy clean working environment with Pro Quality Office Cleaning service! Our prices are affordable and less than at big multi chain businesses. Please be assured that we are committed to doing the entire job well and on time every night. Copyright © 2010 Pro Quality Office Cleaning services Seattle - Tacoma area, WA. All Rights Reserved.